Can Fish Oil Improve ADHD Symptoms? Fish oil comes from the tissues of oily fish and is one of the richest sources of 2 essential omega-3 fatty acids, EPA (eicosapentaenoic acid) and DHA (docosahexaenoic acid). Our bodies need omega-3 fatty acids; however, since our bodies cannot manufacture them, we must get them either by the food we eat, for example, sardines, tuna, salmon, mackerel, herring, bluefish, and black cod, or by taking supplements. When there are low levels of omega-3 in the body, it may cause a variety of cognitive and mood problems some of which can be similar to ADHD symptoms. Research shows that people living with ADHD have lower levels of omega-3 in their bodies compared to people who do not have ADHD. This does not mean that having low levels of omega-3 causes ADHD or that taking an omega supplement will cure ADHD. However, research shows that taking a supplement can improve your ADHD symptoms, which is great news. Improvement of ADHD symptoms such as improved attention, ability to focus and memory. May contribute to a reduction in the symptoms of coexisting ADHD conditions, such as anxiety, depression, and bipolar disorder. Possible reduction in side effects from stimulant medication prescribed for your ADHD. As always check with your doctor before taking supplements. Many women with ADHD suffer from PMS, and their ADHD symptoms are exacerbated. Taking an omega-3 supplement can reduce PMS symptoms. Improve your general health. When you are living with ADHD it is easy to forget other aspects of your health too. Omega-3 can help with cholesterol levels, heart health and decrease asthma symptoms. There are 3 types of omega-3, ALA (alpha-linolenic acid), DHA (docosahexaenoic acid) and EPA (eicosapentaenoic acid). DHA and EPA are the ones found in fish and supplements and are usually preferred. ALA is found in plants, such a flax seed. Fish oil supplements typically contain two types of fatty acids: eicosapentaenoic acid (EPA) and docosahexaenoic acid (DHA). Look for capsules that contain at least three to four times the amount of EPAs as compared to DHAs. Although omega-3s are readily available at health foods and pharmacies, it is important to speak to your doctor before starting to take them. All supplements can have side effects and alter the way your body responds to medication prescribed by your doctor. Omegas can potentially "thin your blood" and may increase risks of bleeding, particularly at higher doses. They can also cause upset stomachs. Also, get your doctor's advice on the dosage of mega-3 to take. As with most things, you can have too much of a good thing. Taking large amounts of omega-3 can cause nosebleeds or hemorrhagic stroke. The term ‘fish burps’ usually makes people laugh. They are burps that taste like fish, even if you haven’t eaten any fish. Some people do not actually burp but have a fishy aftertaste in their mouth. This side effect of taking omega supplements can be so unpleasant that people can stop taking their omega-3 supplements, which means they also stop getting the benefits they provide. If you are getting fish burps, there are a few options to try. Look for enteric-coated omegas. These capsules have a thicker coating, which can help with burps. Try an omega-3 liquid. The liquid is often flavored for example, with lemon, so that it tastes quite pleasant. The liquid form is also a good option if you have problems swallowing tablets. Experiment with the time of day that you take your supplements. With your evening meal is often a good solution. How Long Does It Take to Notice Improvements? Brain scans show that omegas help your brain work more efficiently. 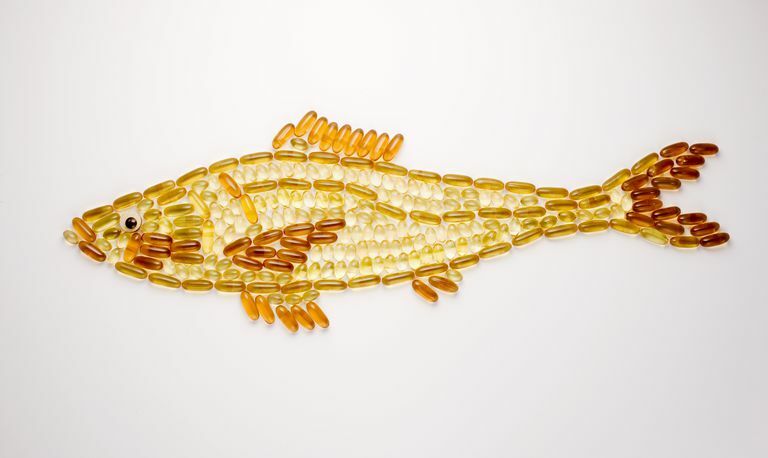 It may take some time to see the potential benefits of omega-3 supplements. Barragan, E.,D. Breuer, and M. Dopfner. 2014 Efficacy and Safety of Omega 3/6 Fatty Acids, Methylphenidate, and a Combined Treatment in Children with ADHD. Journal of Attention Disorders. Bauer,I.,S. Crewther, A. Pipingas,L. Sellick, and D. Crewther. 2014. Does Omega-3 Fatty Acid Supplementation Enhance Neural Efficiency? A Review of the Literature. Human Psychopharmacology 29(1): 8-18. Hawkey,E., and J.T.Nigg. 2014. Omega-3 Fatty Acid and ADHD: Blood Level Analysis and Meta-Analytic Extension of Supplement Trials. Clinical Psychology Review. Hunt, W., and A. McManus. 2014. Women's Health Care: The Potential of Long-Chain Omega-3 Polyunsaturated Fatty Acids. Journal of Women's Health Care. Transler, C., A. Eilander, S. Mitchell, and N. van de Meer. 2010. The Impact of Polyunsaturated Fatty Acids in Reducing Child Attention Deficit and Hyperactivity Disorders. Journal of Attention Disorders 14(3):232-246. Why Does Exercise Help Improve Focus and Mood With ADHD? Will My Child With ADHD Behave if I Spank Him? Can Modifying My Child's Diet Help Reduce His ADHD Symptoms?